Australia’s next generation of entrepreneurs will be able to connect with a global entrepreneurial ecosystem of industry experts, mentors and resources under a partnership reached between the University of Melbourne and The Nasdaq Entrepreneurial Center. The partnership, facilitating student exchange, alumni networking, and future program development, was announced last night at the official opening of the 13,000 square-foot, ultra-modern Entrepreneurial Center in San Francisco’s South Financial District. “The Center’s mission is to deliver the best educational programs and mentorship to help develop entrepreneurial talent and innovation not just in the U.S., but globally,” said Bruce Aust, Vice Chairman, Nasdaq and President, Nasdaq Entrepreneurial Center. Established by the Nasdaq Educational Foundation as a non-profit organisation, the Center is focused on fostering a thriving start-up community representing all industries. “The Asia-Pacific region plays an important role in the global economy and we are delighted to begin this exciting partnership with the University of Melbourne to provide resources to future leaders from the region who are ready to take full advantage of our offering” continued Mr Aust. The University of Melbourne’s entrepreneurship program, the Melbourne Accelerator Program (MAP), was recently voted 13th best in the world and this agreement with the Nasdaq Entrepreneurial Center is a step in allowing this entrepreneurial culture to expand, outlined the Vice-Chancellor of the University of Melbourne, Professor Glyn Davis. “A conveyor belt of companies from biotech to digital is emanating from Melbourne with over 120 jobs and over $5 million (AUD) in revenue generated by MAP start-ups since 2012. This agreement with the Nasdaq Entrepreneurial Center provides a global stream of inspiration and knowledge for Australia’s next generation of entrepreneurs” highlighted Rohan Workman, Director of the Melbourne Accelerator Program (MAP) at the University of Melbourne. 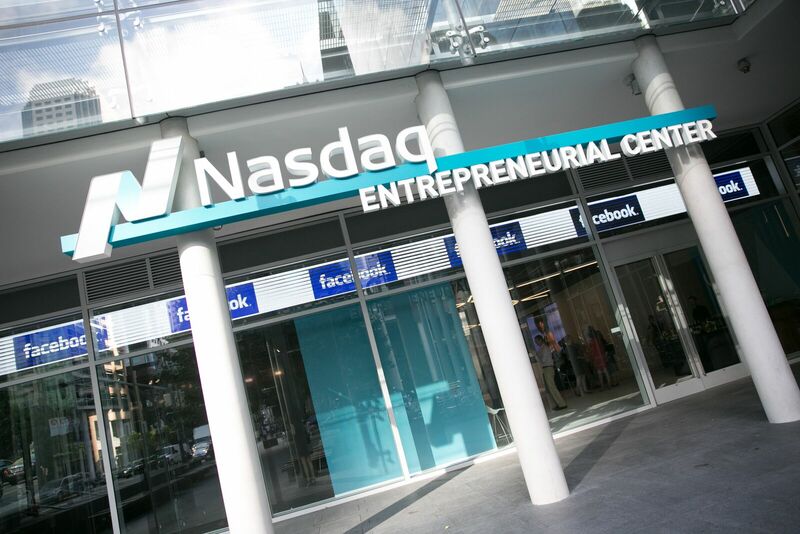 The Nasdaq Entrepreneurial Center offers entrepreneurs free educational and training resources, hands-on mentorship programs and entrepreneurial events and programs developed in partnership with Nasdaq and with some of the world’s leading academic institutions, companies and business leaders. In addition, the Center will also conduct original and actionable research on entrepreneurship. To celebrate the launch of the Center, which coincides with Nasdaq’s Bay Area 25th anniversary, California’s Lieutenant Governor Gavin Newsom was joined by the 2015 NBA Champion Golden State Warriors to ring the Nasdaq Closing Bell. Additional programming to highlight the launch included leadership panels hosted in partnership with CNBC’s Disruptor 50 series. Nasdaq (Nasdaq: NDAQ) is a leading provider of trading, clearing, exchange technology, listing, information and public company services across six continents. Through its diverse portfolio of solutions, Nasdaq enables customers to plan, optimize and execute their business vision with confidence, using proven technologies that provide transparency and insight for navigating today’s global capital markets. As the creator of the world’s first electronic stock market, its technology powers more than 70 marketplaces in 50 countries, and 1 in 10 of the world’s securities transactions. Nasdaq is home to more than 3,600 listed companies with a market value of approximately $9.6 trillion and more than 10,000 corporate clients. To learn more, visit: http://nasdaq.com/ambition or http://business.nasdaq.com.